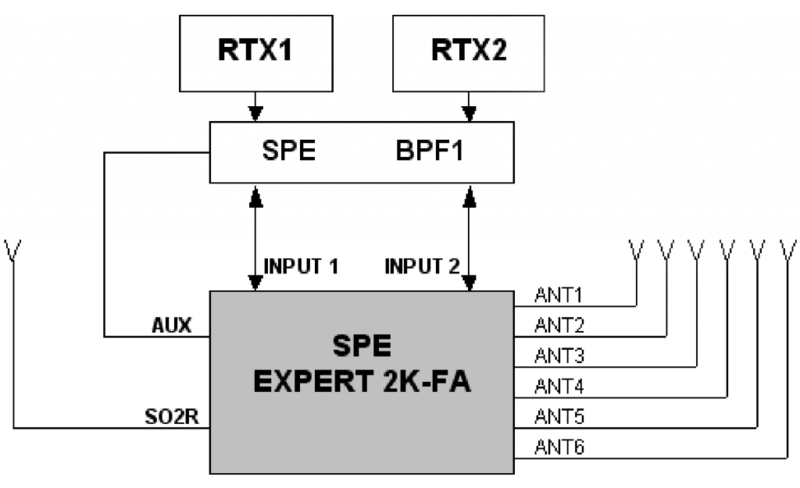 SPE, first and unique in the world, gave this EXPERT the ability to manage the SO2R function with a single amplifier. 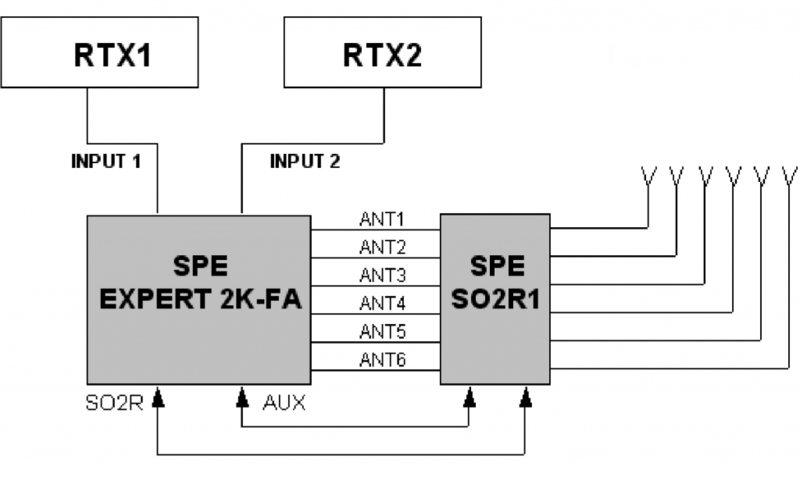 This scheme is suitable for not very sophisticated stations with antennas that are frequently for “two or three bands.” A single multiband antenna reception is a simple solution because it still provides an automatic operation. 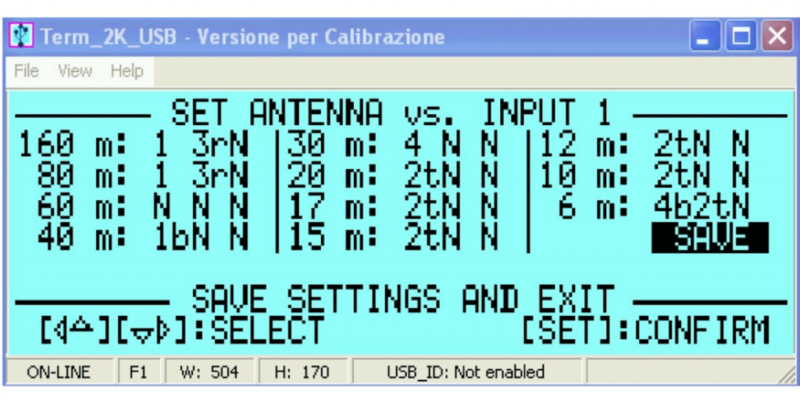 The stations that have an antenna for each band prefer to transmit with the same antenna with which the multiplier is received. A special unit is used for this switching so that the structure still ensures a fully automatic use. 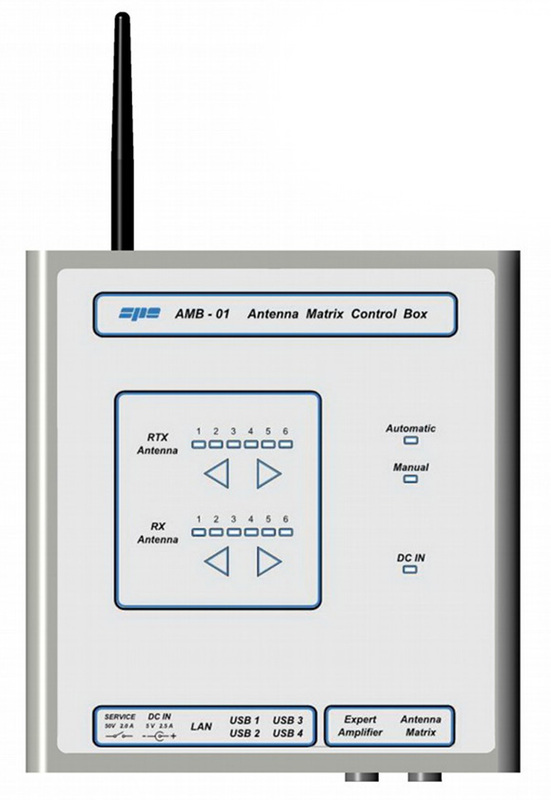 Improve the station automation, make an easier wiring, adapt the shack to the new needs of an internet remoting has become an essential requirement for the dxer or contester. 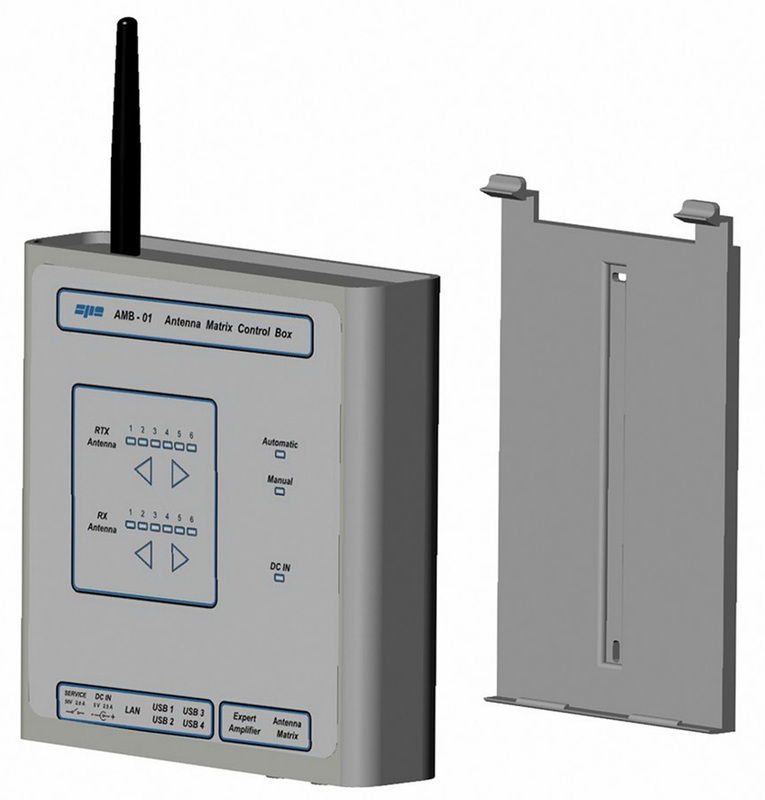 SPE, always trying to ensure the more modern and sophisticated solutions, has designed a system that manages antennas, SO2R operations, remoting in a simple, efficient, economical and automatically way. 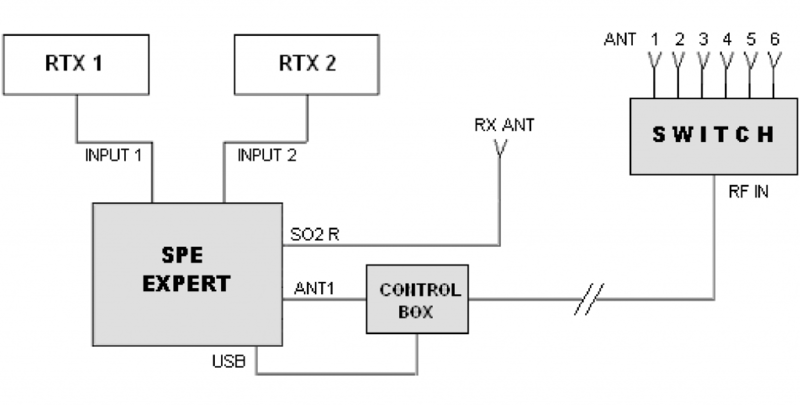 To avoid managing many cables inside/outside the station, the first simplification adopted was to design a remote switch. It is not certainly an original solution as these switches are already on the market with various types, but most are manual and require an additional cable for control and power. 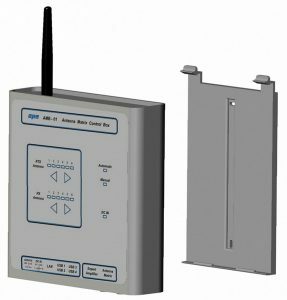 The SPE solution does not require any additional cable, the antenna coaxial cable is also used to send the commands and the power to the switch. 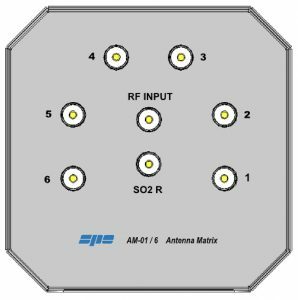 The control signals are provided by the expert according to the table that already exists inside the linear that associates with the maximum flexibility the antennas to the bands. The simplification that results is evident: “Only one connection cable and a fully automatic management totally operated by the ‘EXPERT’. 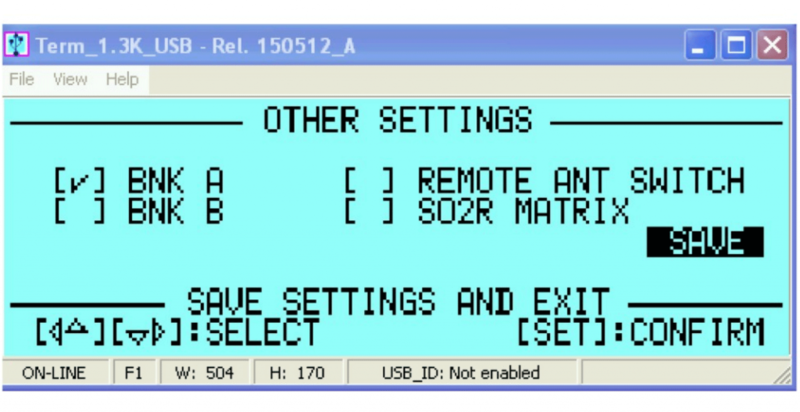 If one works in SO2R a multiband antenna for the reception only conveniently placed in a suitable location can be used . 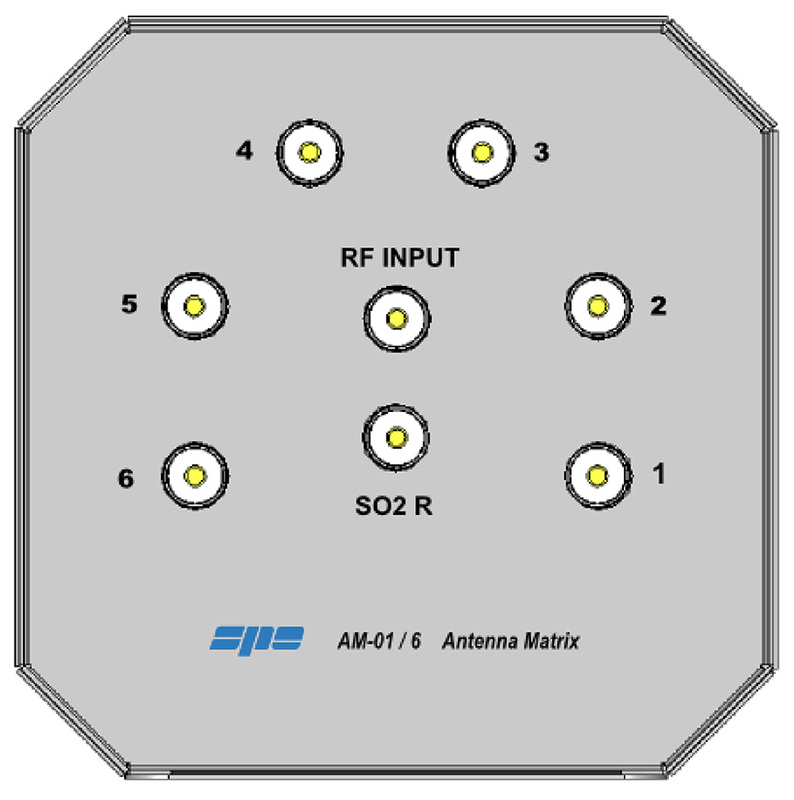 The ability to have an antenna for each contest band prompted us to modify the original design of the switch in a 6X2 matrix (i.e. 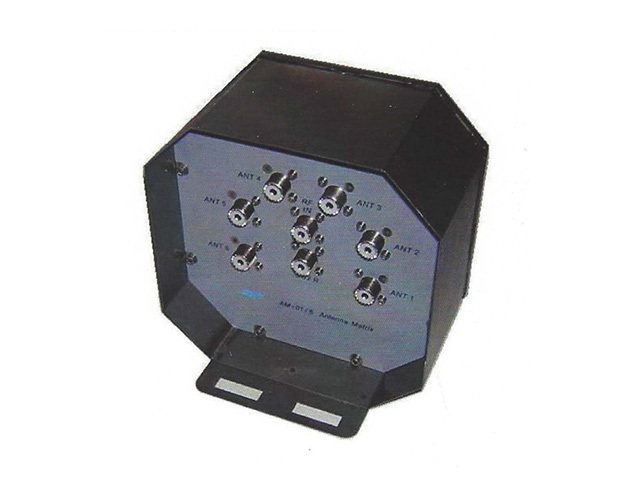 six outputs and two inputs). 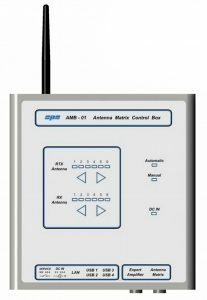 This allows to exchange with great ease by associating the various antennas from time to time to a RTX use or simply to a RX use. Again everything is delegated to the ‘EXPERT” which has inside all the necessary information. Of course the design of the MATRIX also provides maintenance of the SWITCH function. The two functions are selected in the linear set-up. The proposed system provides a MATRIX to be placed outside and a CONTROL BOX placed inside the station. Material used INOX. Fixing possibilities on a pole or wall. 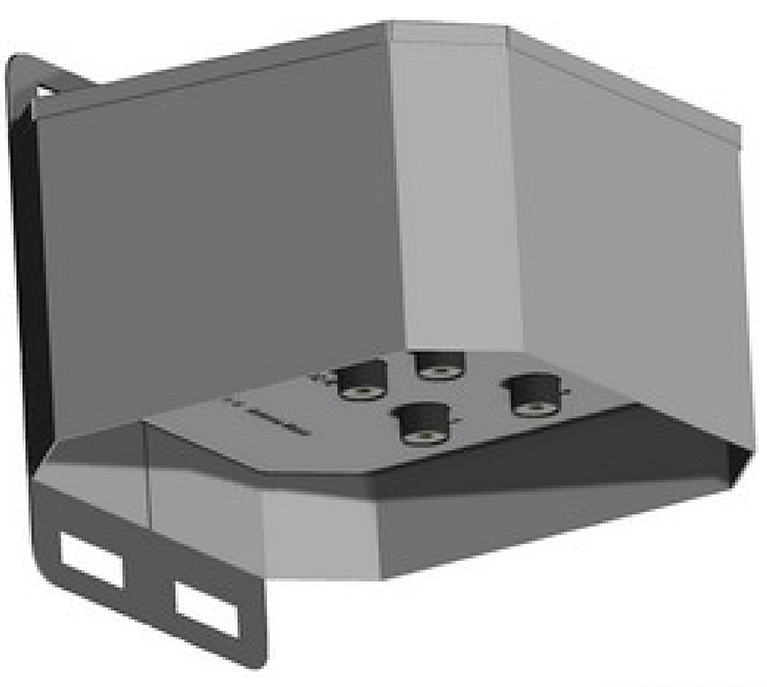 The connectors are protected by a skirt made from container. CONNECTORS ARRANGEMENT The MATRIX can also be used as a simple SWITCH, both are able to bring to 6 the antennas even if the originals managed by the amplifier are fewer. The MATRIX can also be used as a simple SWITCH, both are able to bring to 6 the antennas even if the originals managed by the amplifier are fewer. • Possibility of having a proprietary protocol for custom applications.